Royal Challengers Banglore and Kolkata had an interesting match yesterday. Virat Kohli faced yet another loss at the hands of Kolkata Knight Riders. While RCB dominated with the bat, they could not do very well with the ball. Moreover, they also had a terrible fielding performance. So much so that the defeat invited RCB skippers' remarks that we can not win with that sort of poor fielding. His team came to bat first and Virat Kohli showed up again with his performance. Virat led his team to a total of 175/4 at the end of 20 overs. Kohli smashed an unbeaten 68 off 44 balls, lacing up his innings 3 sixes and 5 fours. But the Challengers found themselves in shambles for their pathetic fielding and not up to the mark bowling effort. Virat's army would need to win six of the seven matches they are left to play to make it to the qualifiers. Virat has been leading the way when it comes to putting the best performance whereas his other team members have not been able to pull off their socks show some grit. He has also been advised by the social media to leave RCB if he wishes to win the IPL title for his team. Virat has been disappointed with the sort of performance his team has been putting up. Apart from Virat Kohli, only Ab De Villiers has been able to put up a respectable performance. 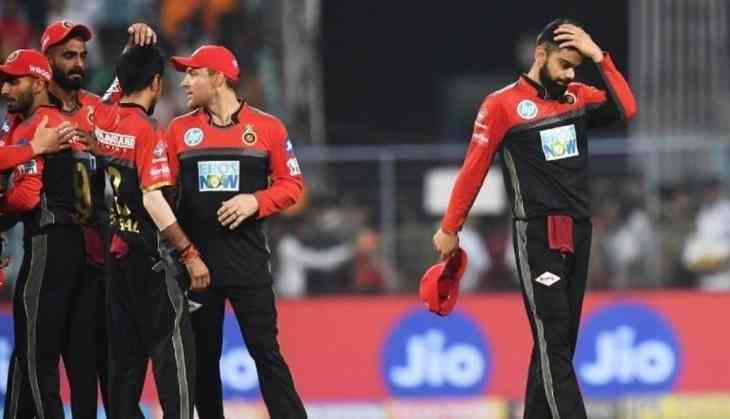 The last match played between KKR and RCB brought yet another loss for Virat that can be primarily attributed to RCB's fielding.